I can’t think of a better location or timing to shoot this look. It was very rushed with the weather changing every 2 minutes which probably doesn’t make much sense to you based on my first sentence. You see sometimes you need bad weather to, first of all, get you to think a little bit outside the box and secondly, to give you a ‘petal shower’! Well in this case there’s actually a bit of a link. 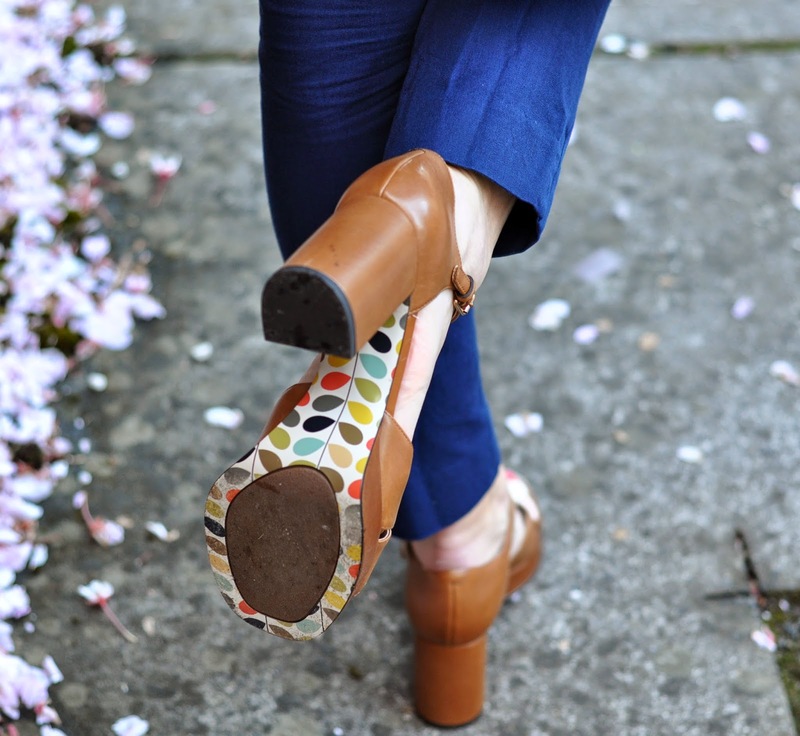 I happened to be wearing the Orla Kiely for Clarks platforms which are graced with Orla’s famous print underneath (petals? leaves? close either way!). 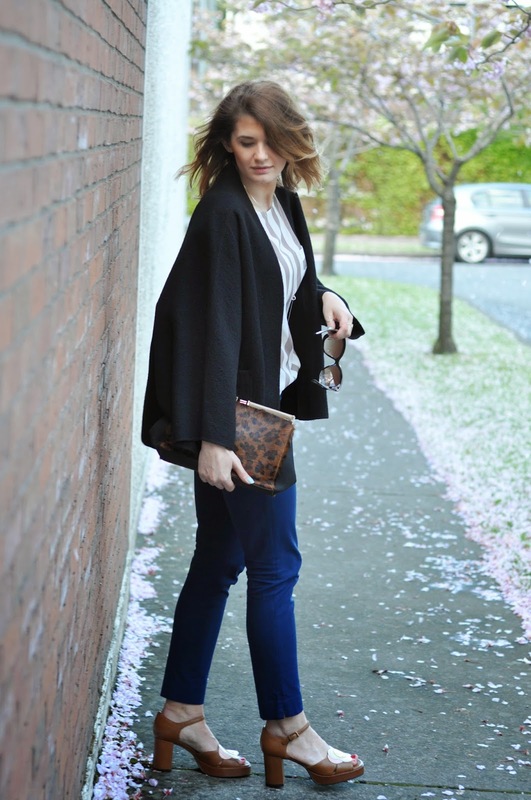 The location and timing just seemed to come together.I couldn’t wait to get my hands on a pair of Orla’s shoes from Clarks, the collection is absolutely amazing and it wasn’t easy to choose just one pair! (See lots more styles HERE). I needed a fun pair of summer shoes though and these more than fit the bill. 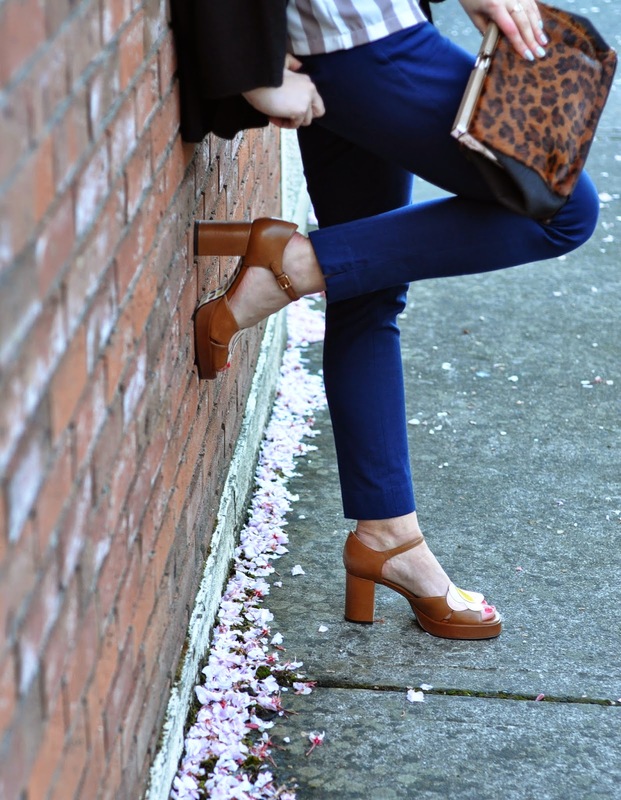 They’re super comfy as you would expect from Clarks.